Nordic Sounds is a music project lead by musical partners saxophonist Villu Veski and accordion player Tiit Kalluste. Initially inspired by American jazz, the duo has moved its focus toward the atmospheric and spaciousness of music from the North. Joined by bassist Taavo Remmel and percussionist Abdissa ‘Mamba’ Assefa, the group will perform in Helsinki on November 1st. 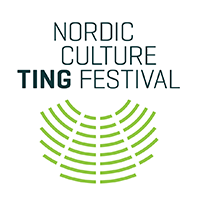 The concert ‘Jazz Interlude with Nordic Sounds’, produced by Jazz Club Jury, will be part of the TING Nordic Culture Festival. Veski’s and Kalluste’s first love in music was American jazz. What triggered the twosome toward aesthetic and substantial perspective was a journey to Faroe Islands in ’97. That was where it all started. The inspiration of the natural surroundings and sounds heard on the Faroes was so fresh and invigorating, that the duo Veski-Kalluste immediately started recording their new Nordic-influenced repertoire. After just a few recording sessions, Sounds of the Nordic Islands, their first Nordic album, was born. The ’98 album also had a sequel, Sounds of the Nordic Islands II recorded four years later, with three additional musicians. The third instalment of the Veski-Kalluste Nordic saga Nordic Sounds Vol. 3 was recorded in 2009 by the Veski-Kalluste Quartet. In between the recordings the duo also had a world-music collaboration with Argentinian drummer Daniel ‘Pipi’ Piazzolla. Since meeting in 2003 the line-up has released one CD, a DVD (Nordic Sounds meets Pipi Piazzolla) and has toured in Northern Europe. The Nordic Sounds ‘family’ is getting bigger and bigger: bass player Taavo Remmel and percussionist Abdissa ‘Mamba’ Assefa have joined the band. Lead by Veski and Kalluste the group plays a world-music influenced repertoire, that has been warmly welcomed in different corners of the world. 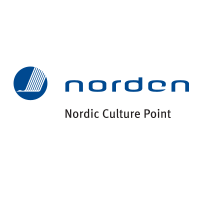 Nordic Sounds will perform at a show produced byJazz Club Jury and part of the artistic, entertaining and culinary TING Nordic Culture Festival. On November 1st, one of Helsinki’s best live music venues, the Koko Jazz Club, will be filled with Nordic-inspired atmosphere and musical landscapes of the Finnish-Estonian band Nordic Sounds.